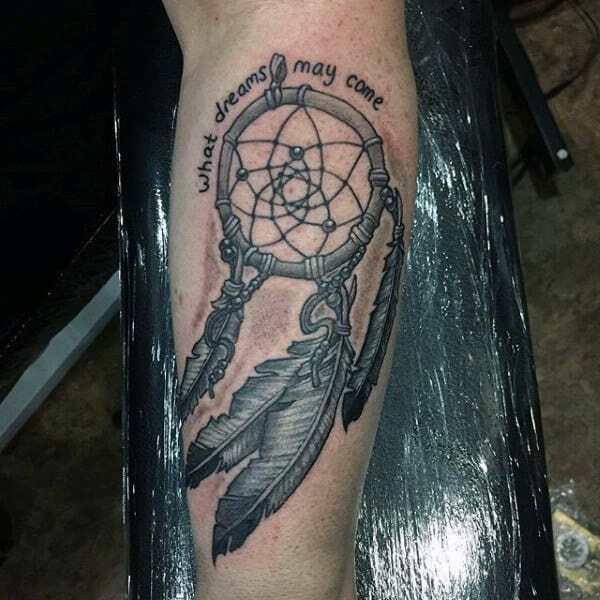 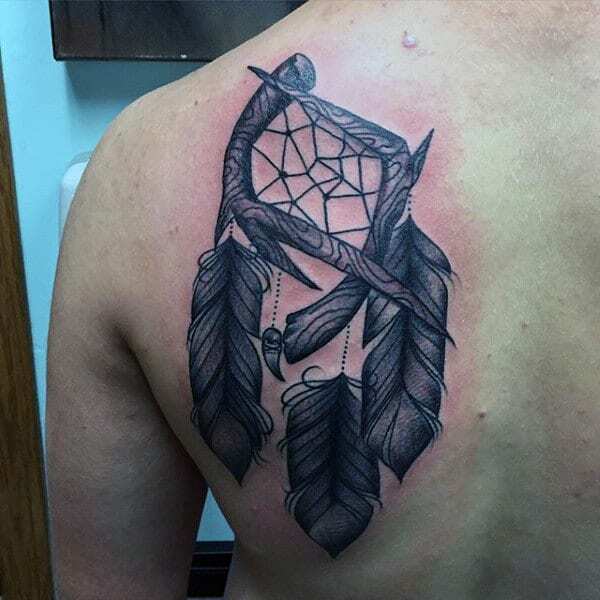 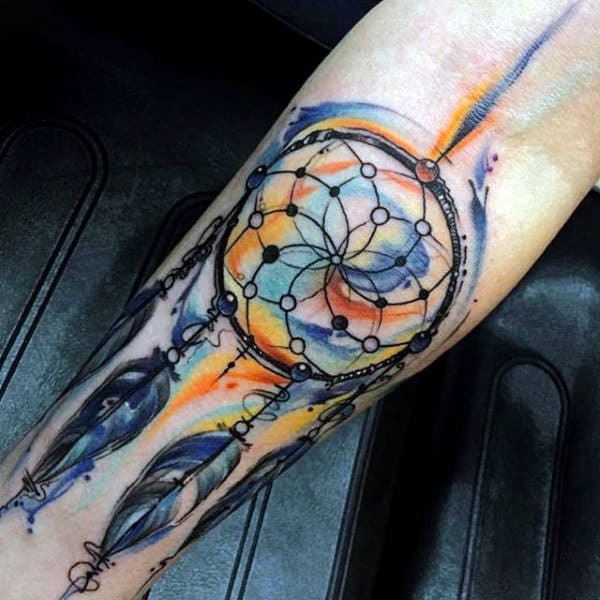 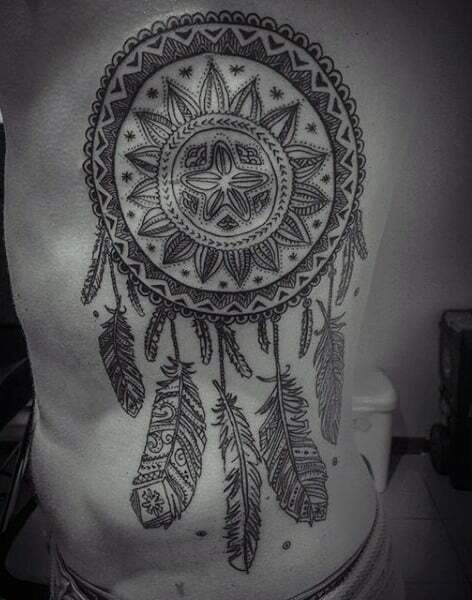 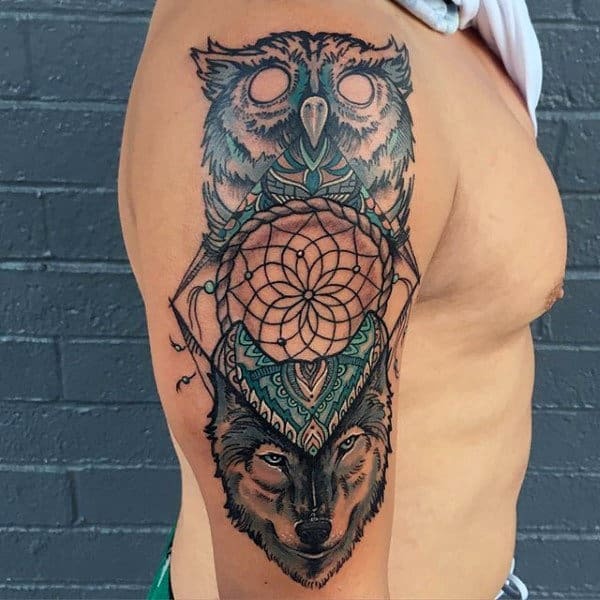 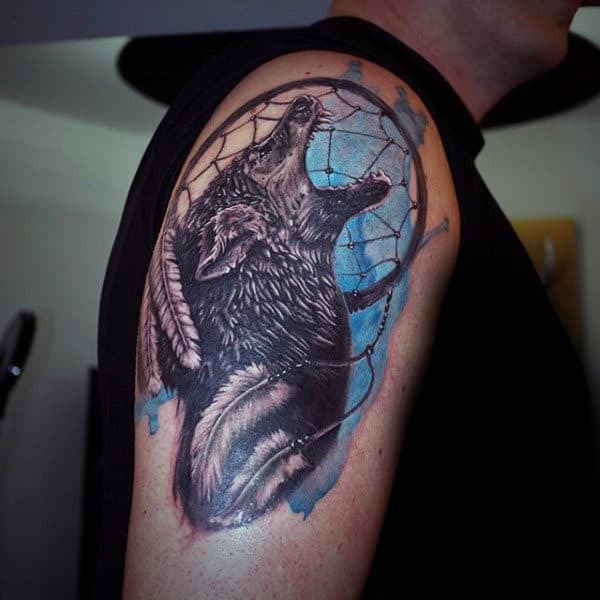 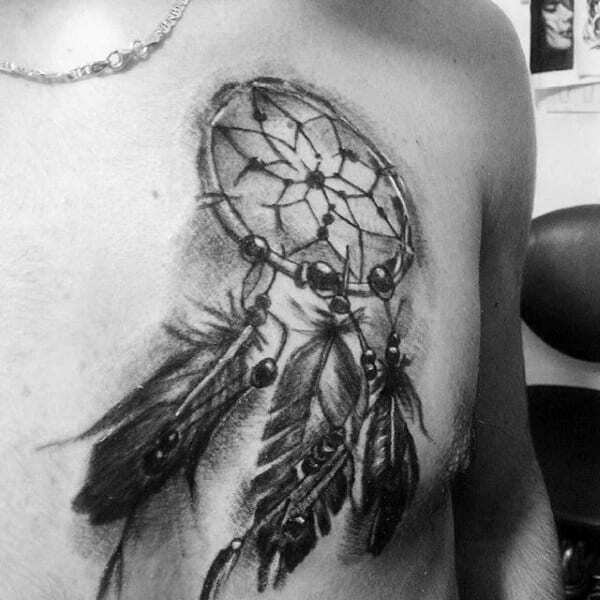 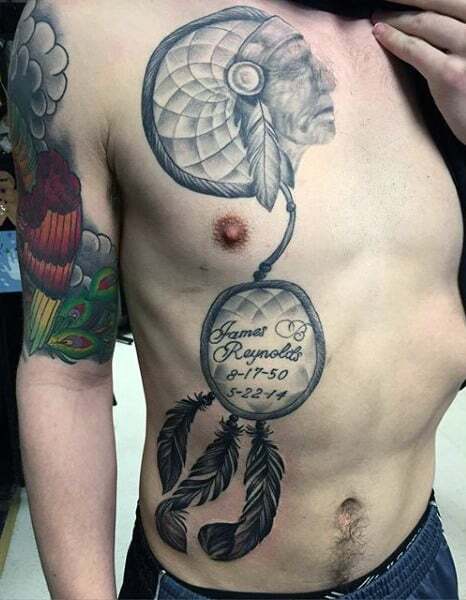 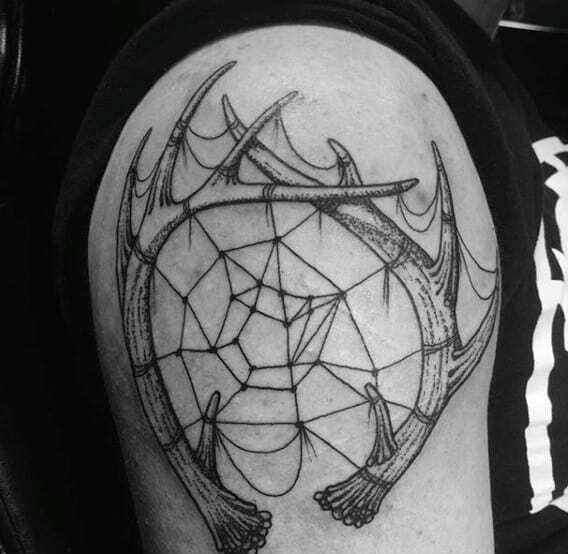 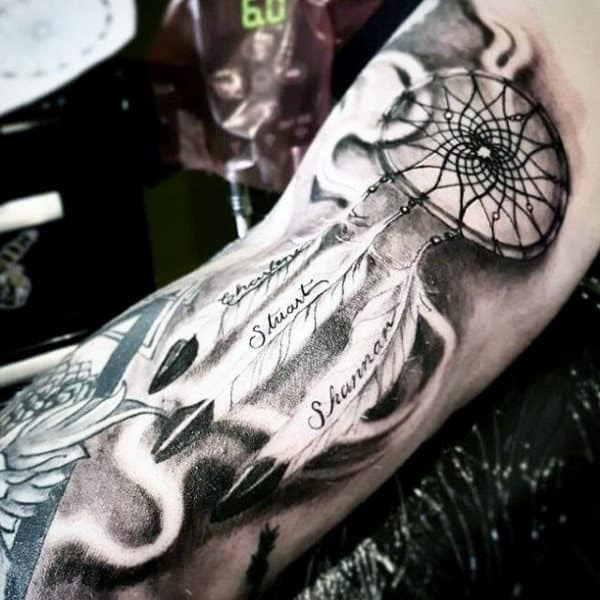 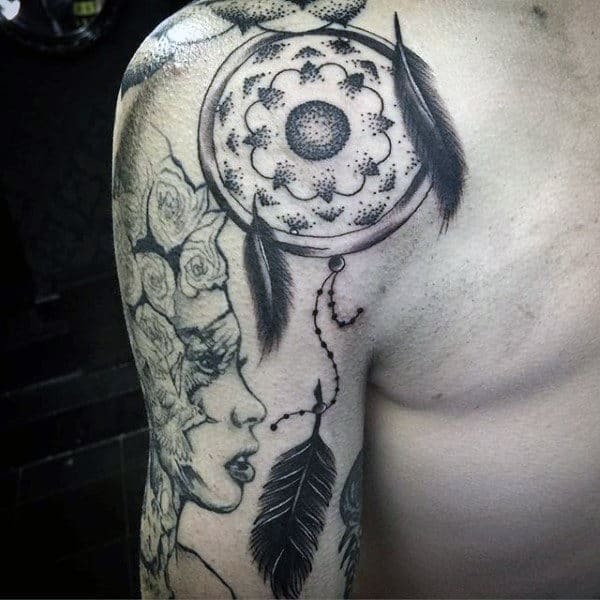 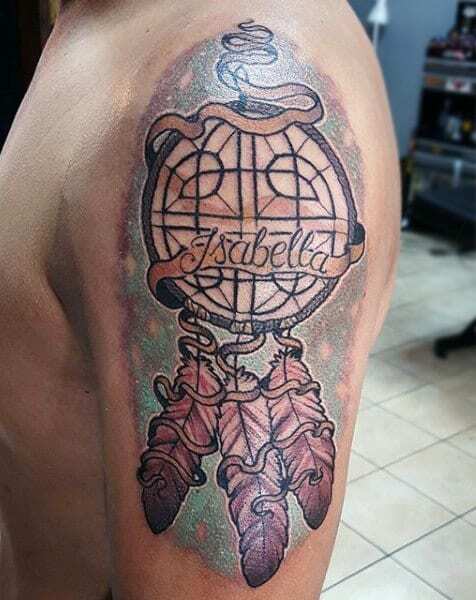 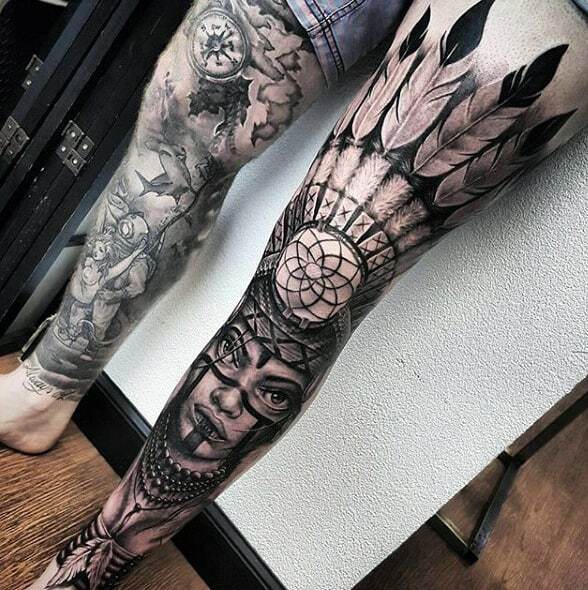 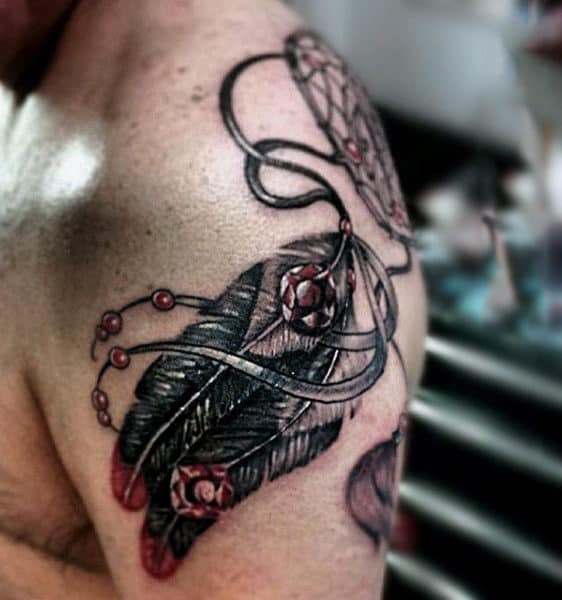 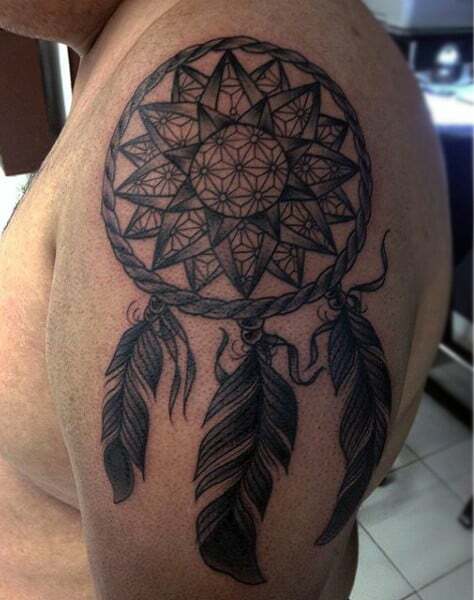 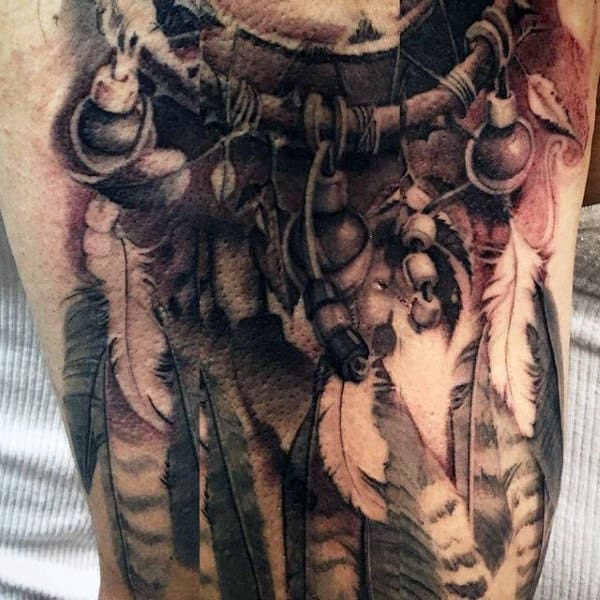 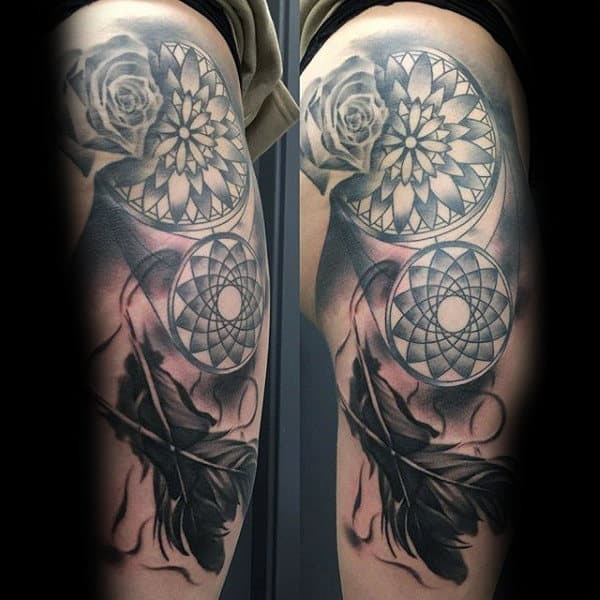 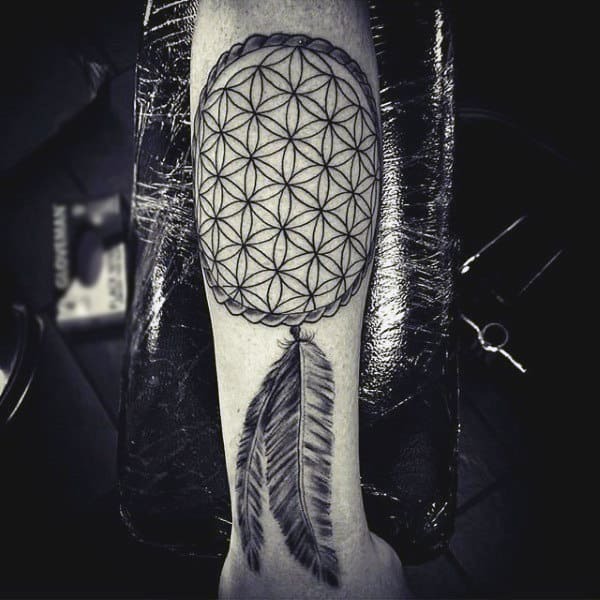 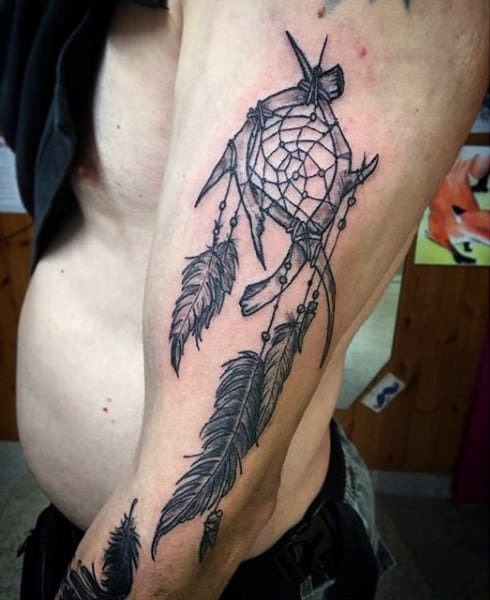 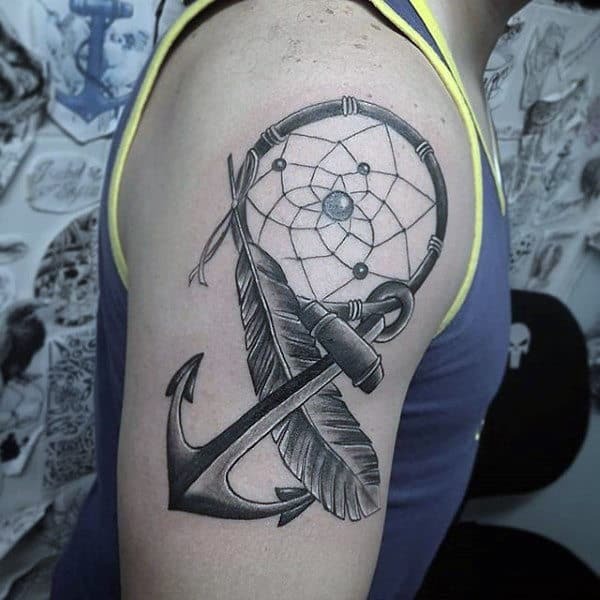 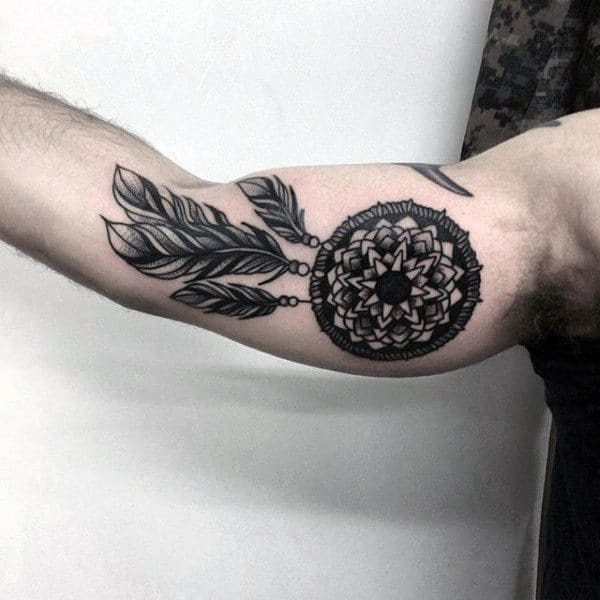 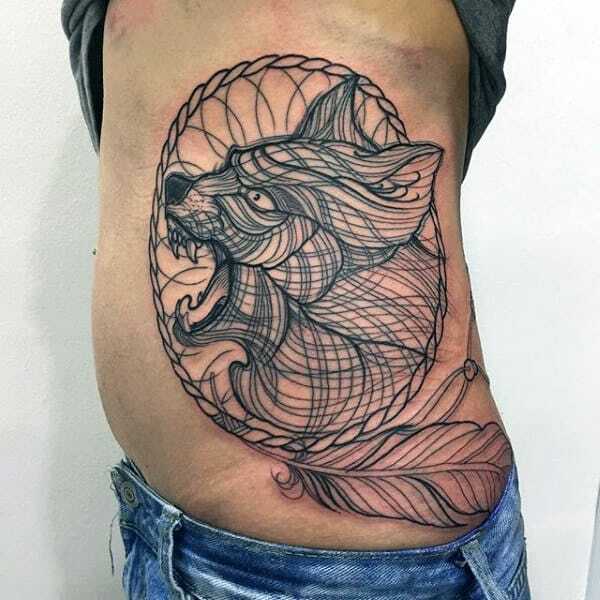 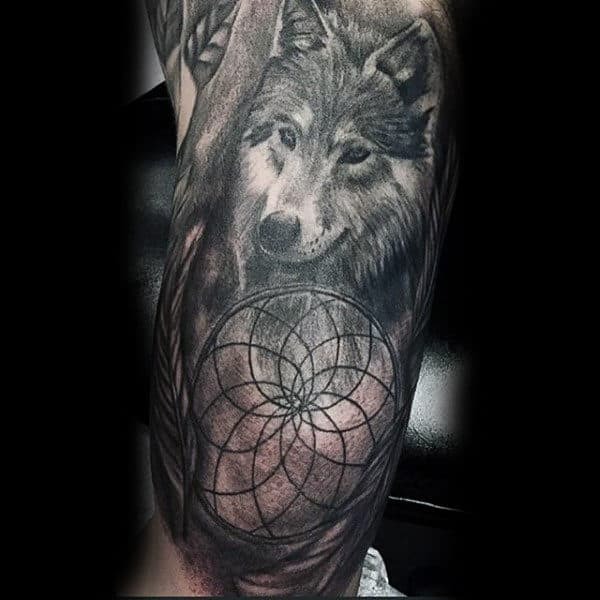 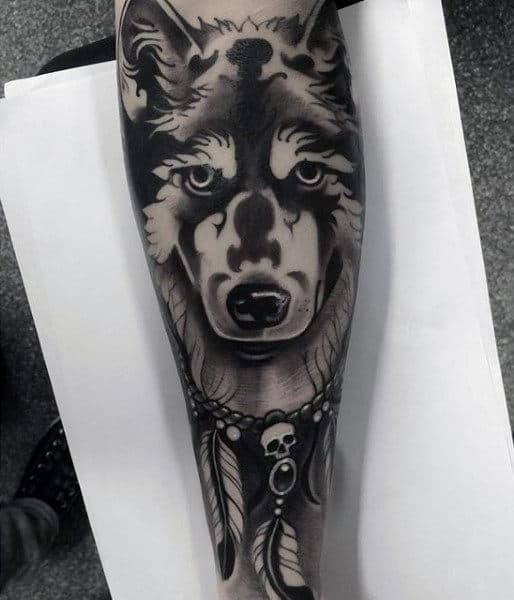 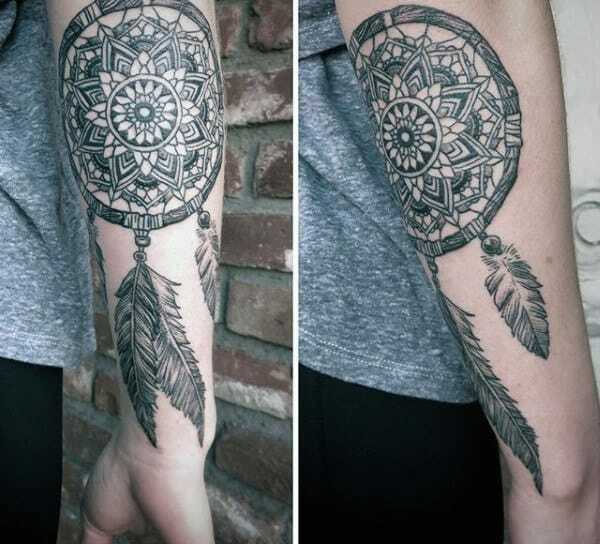 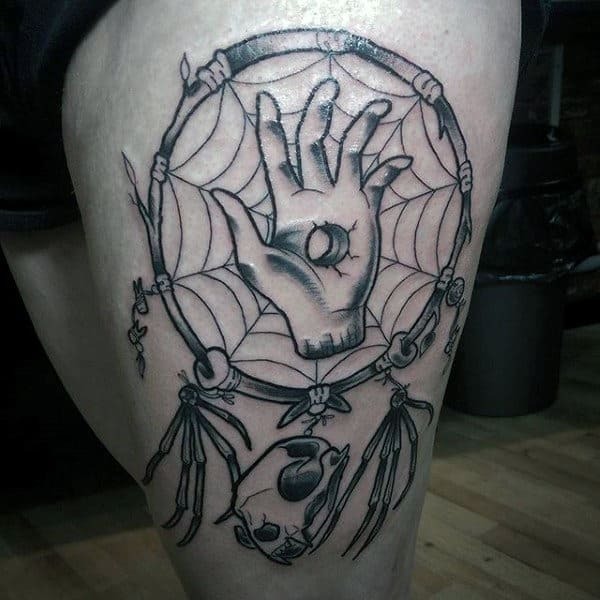 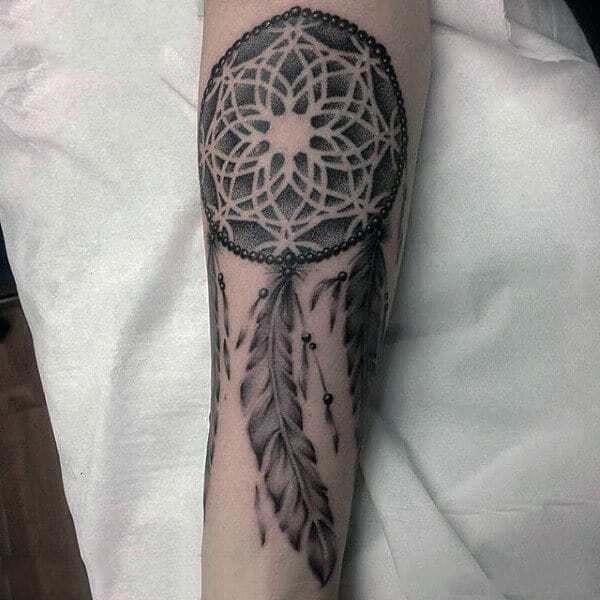 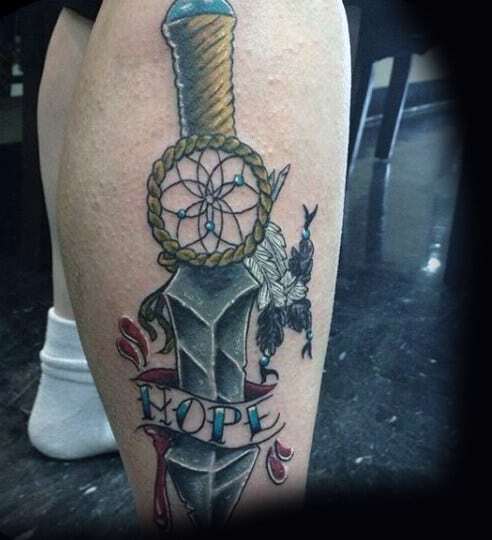 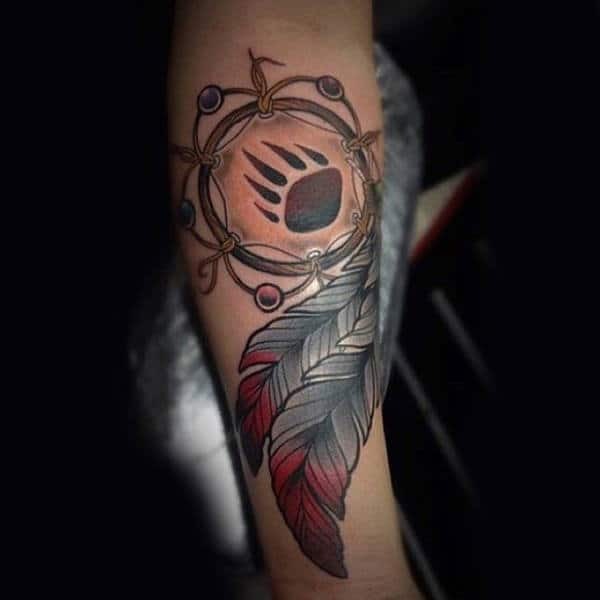 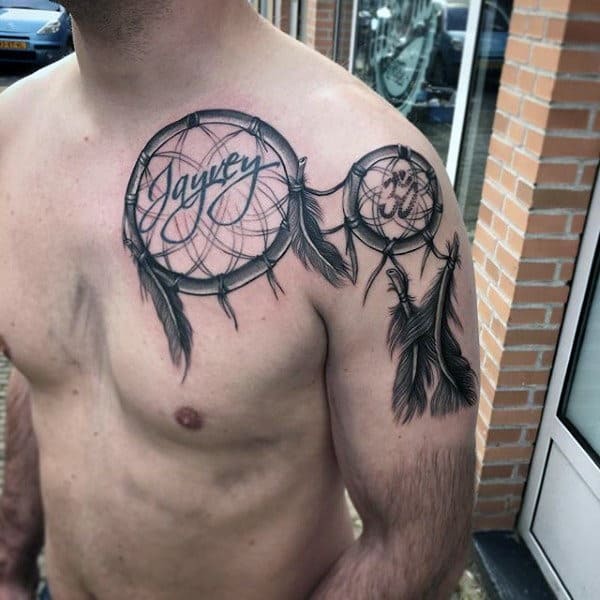 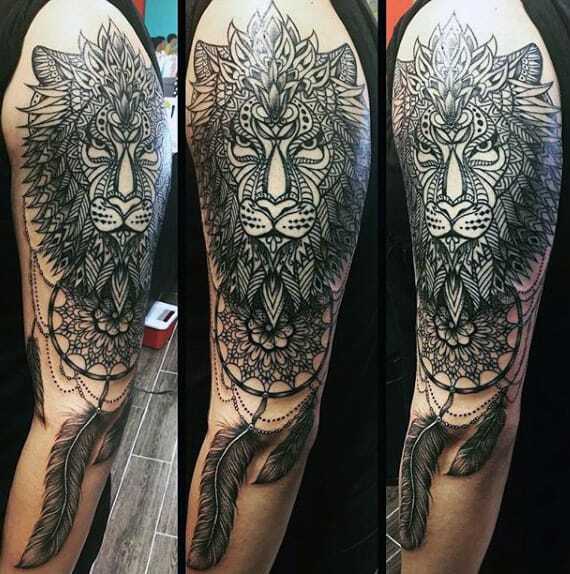 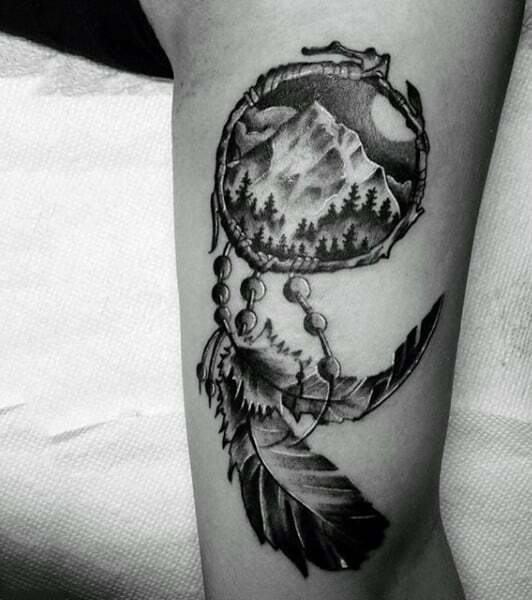 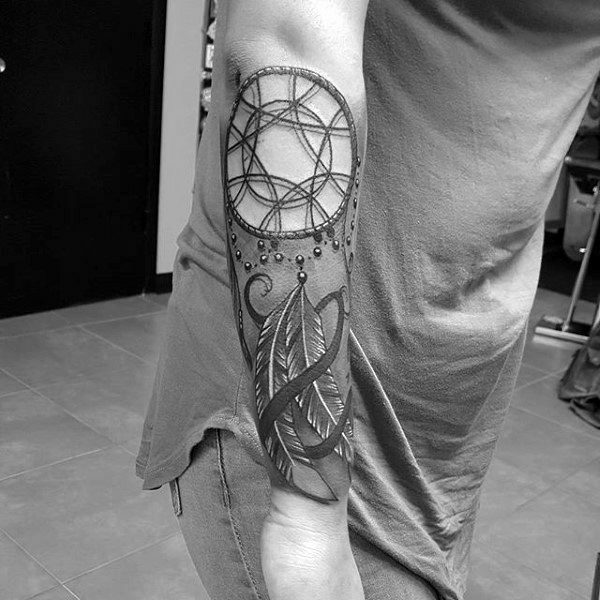 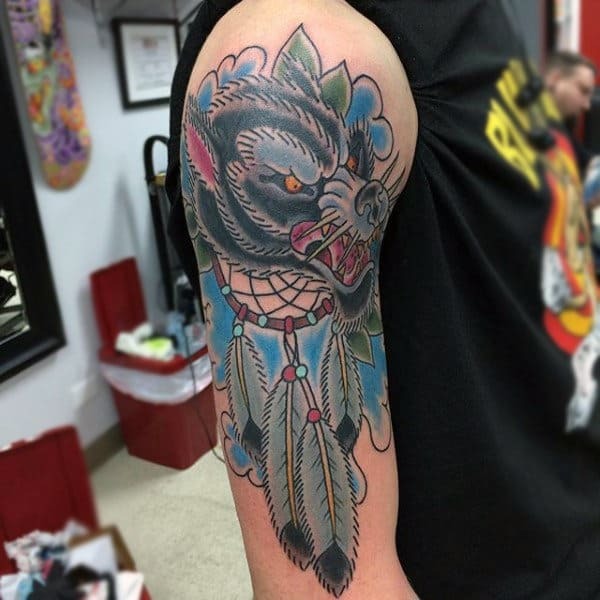 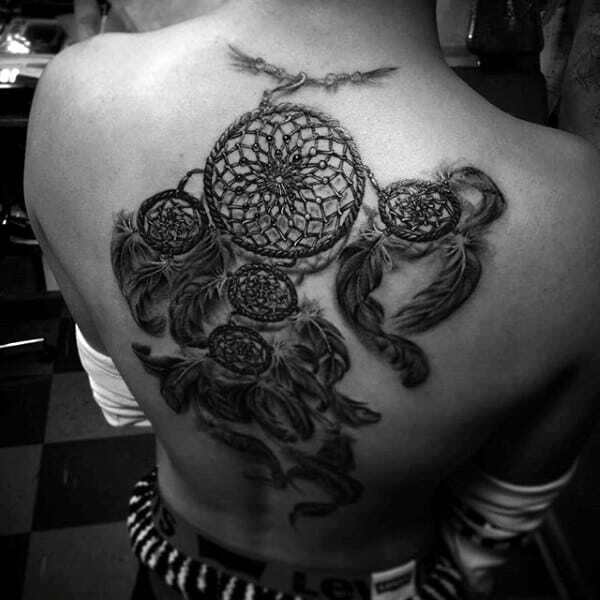 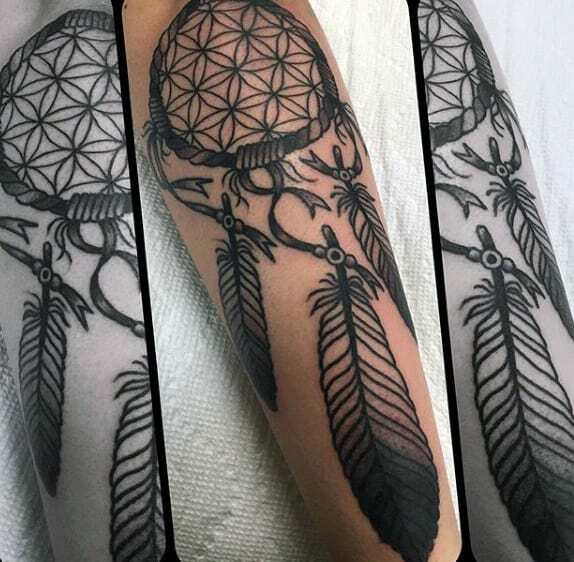 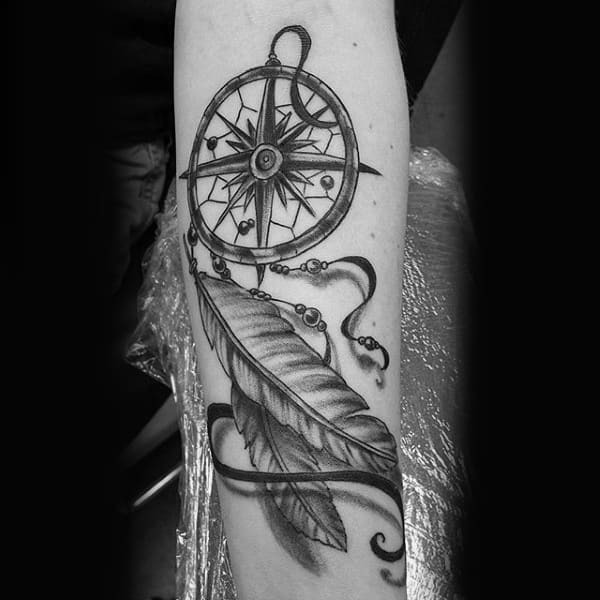 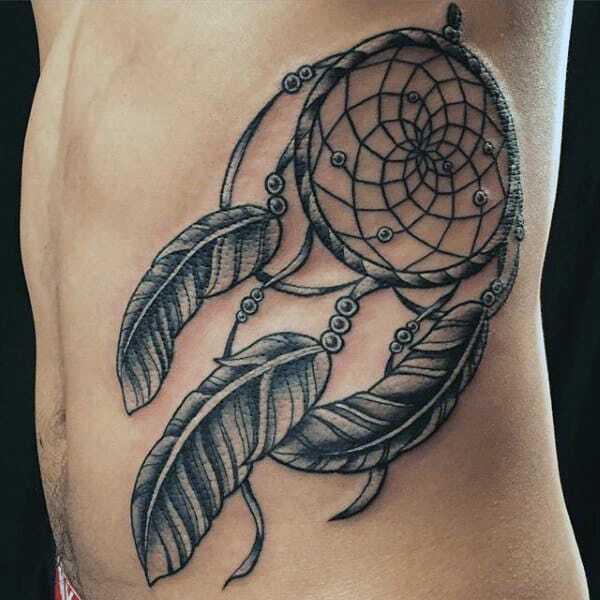 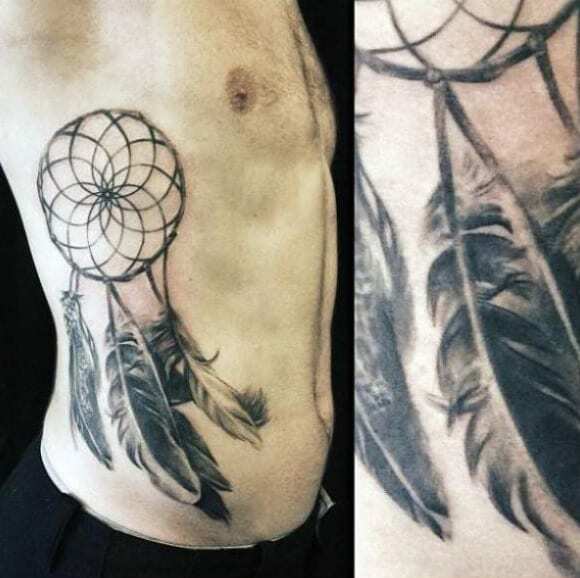 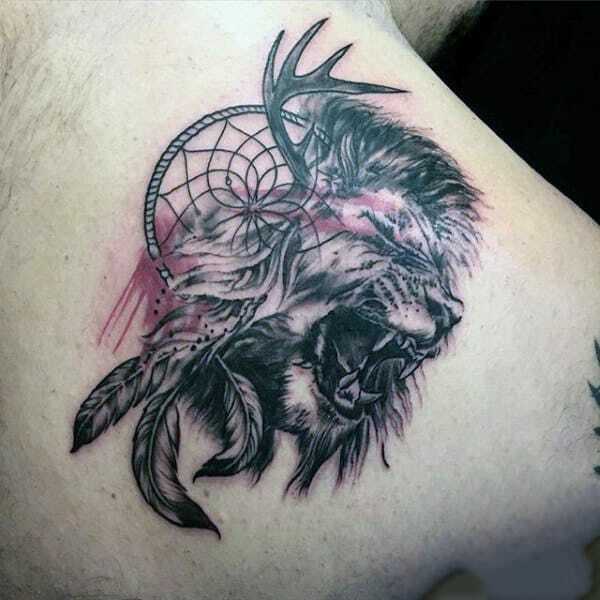 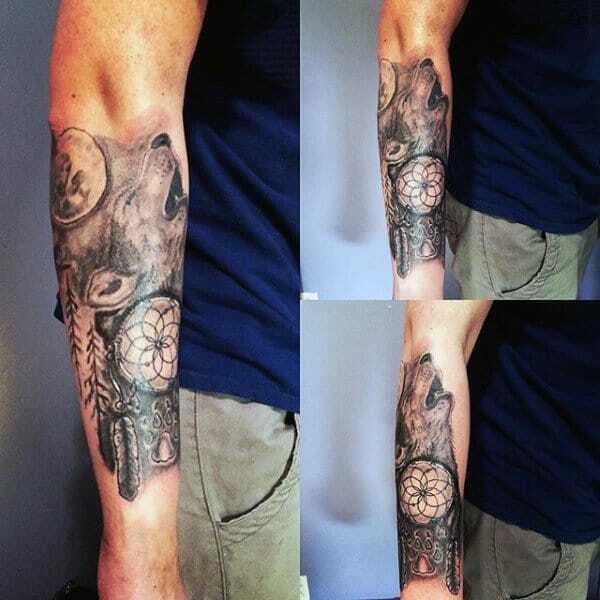 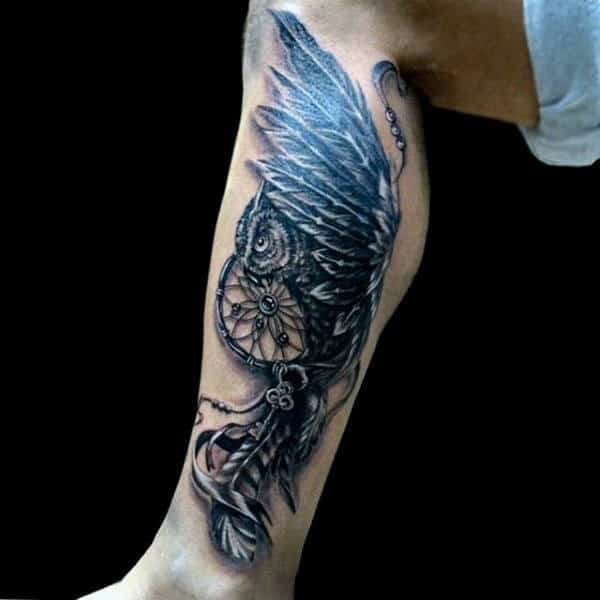 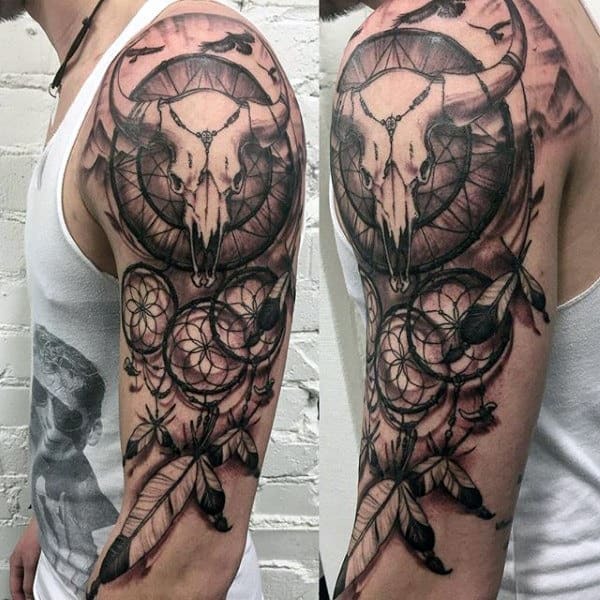 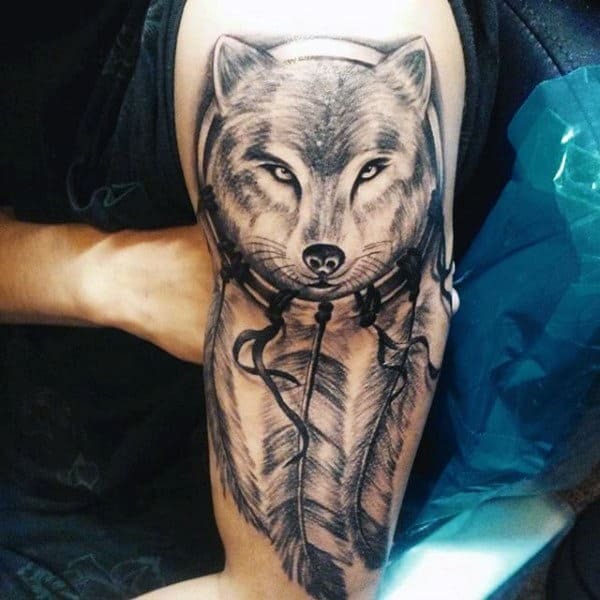 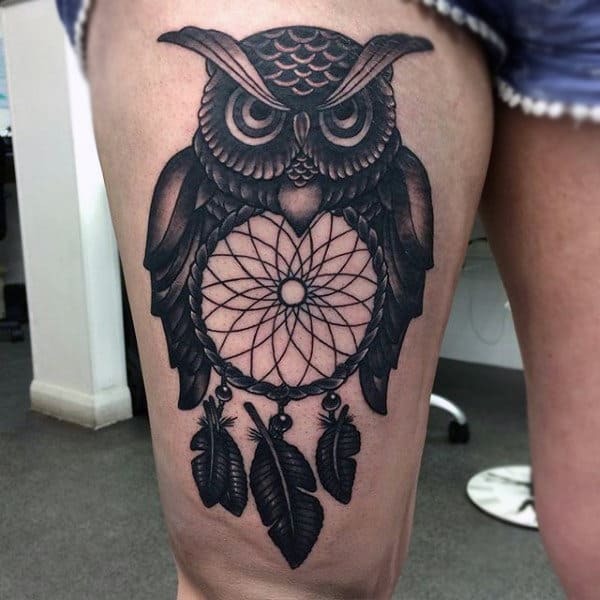 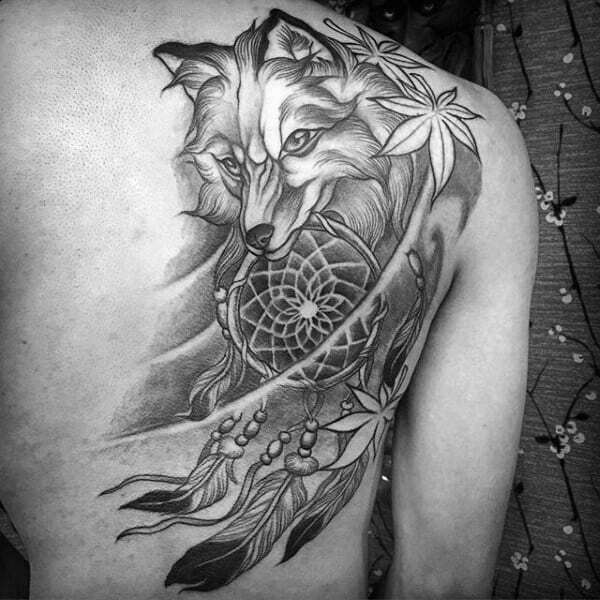 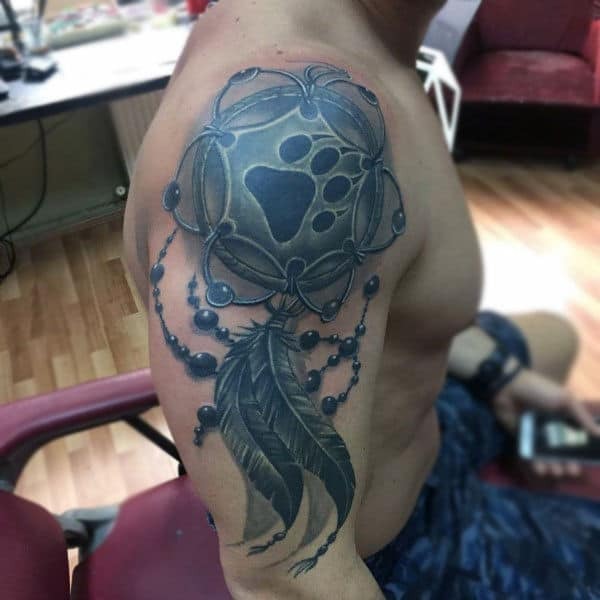 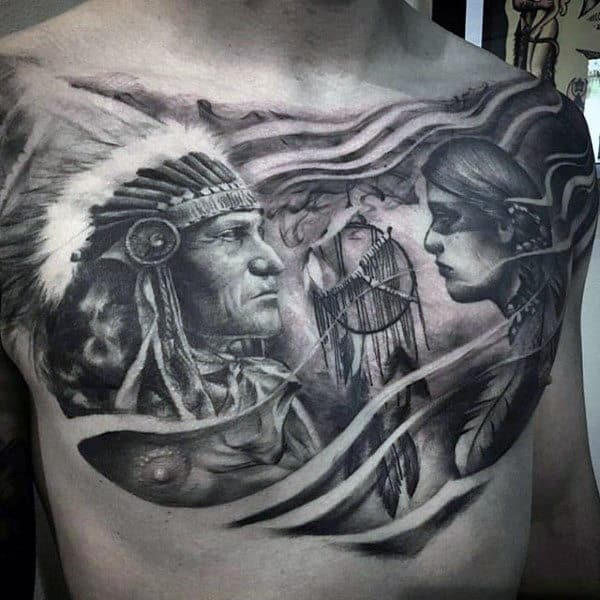 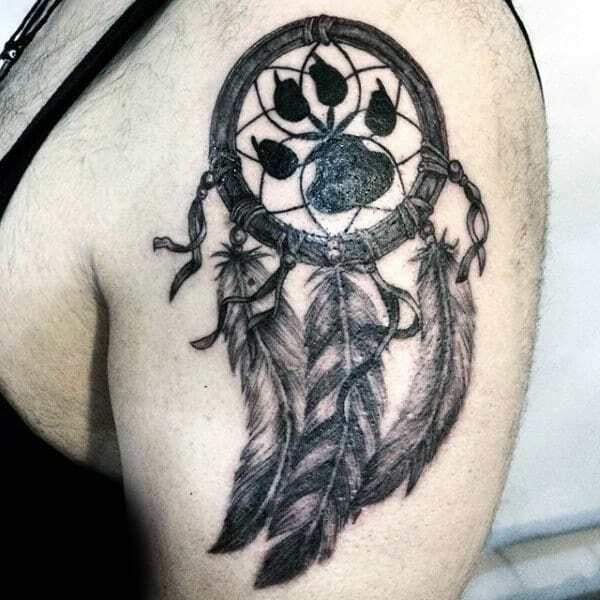 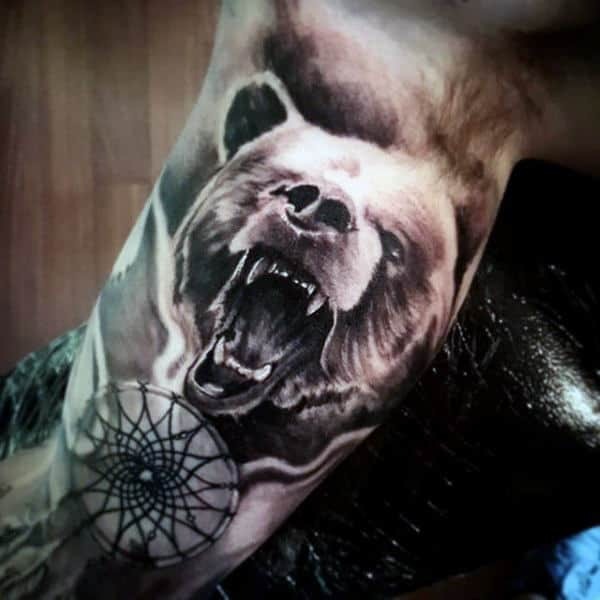 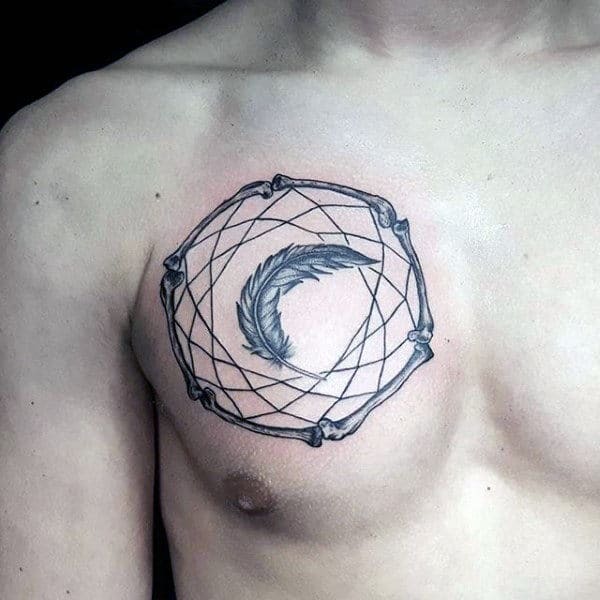 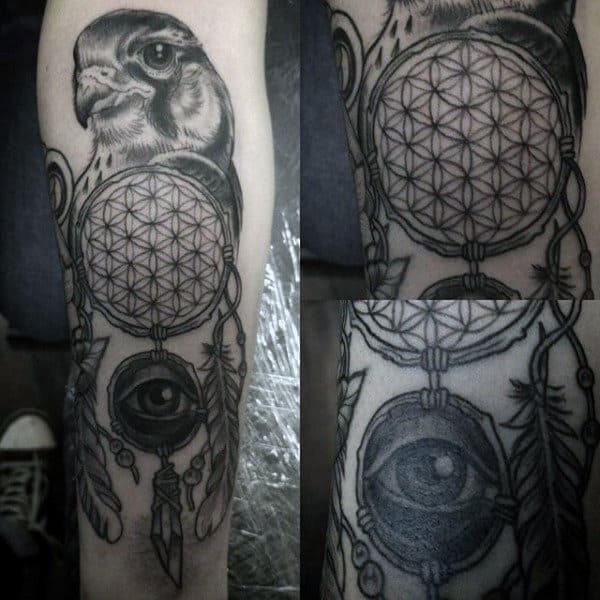 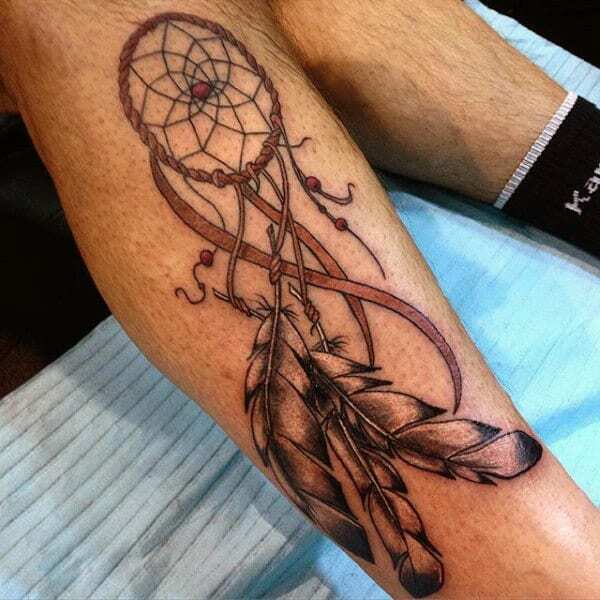 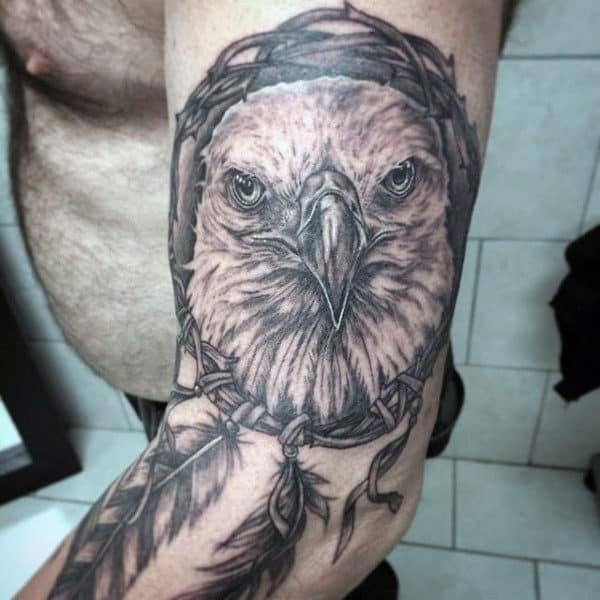 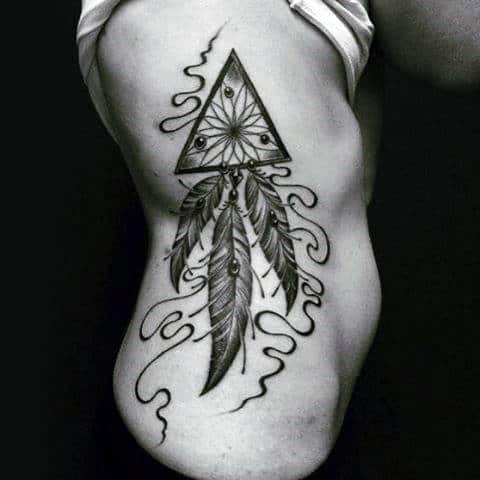 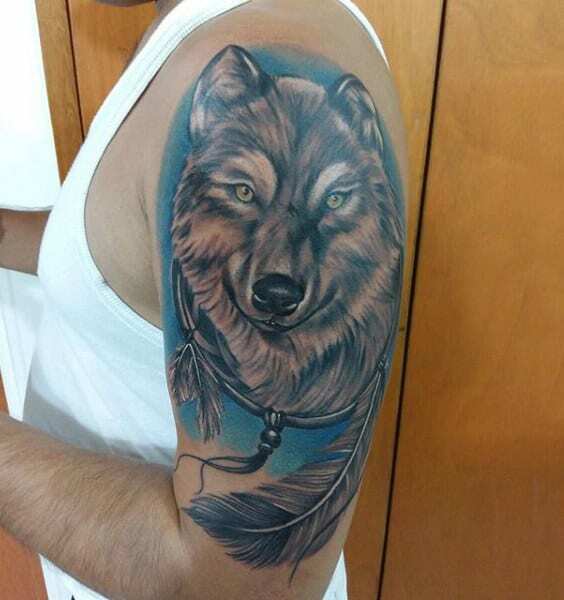 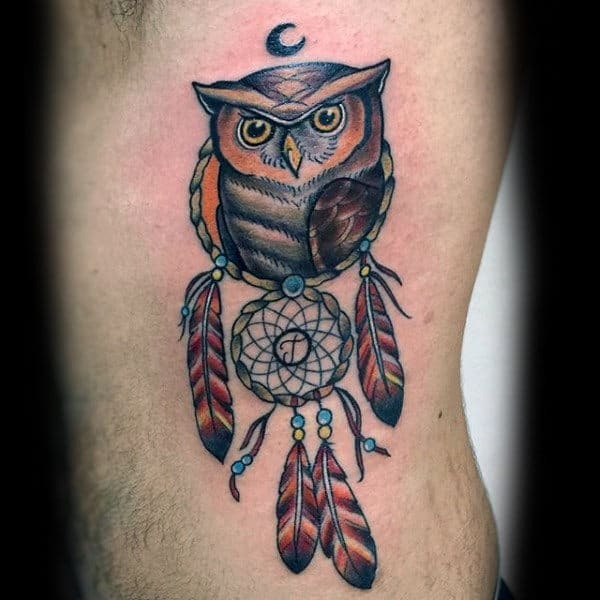 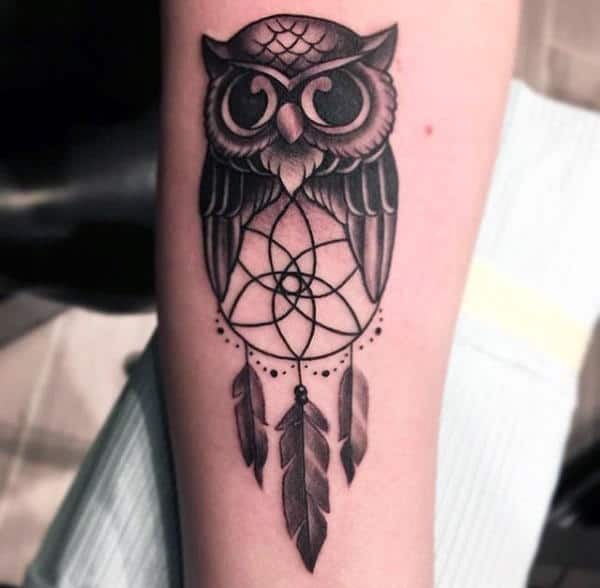 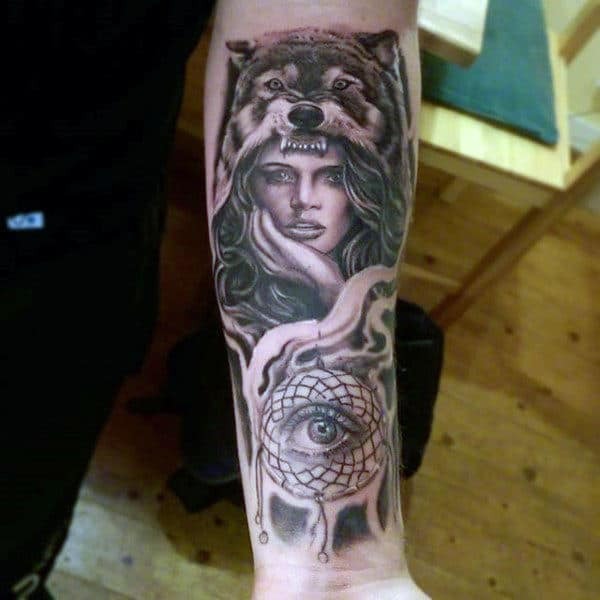 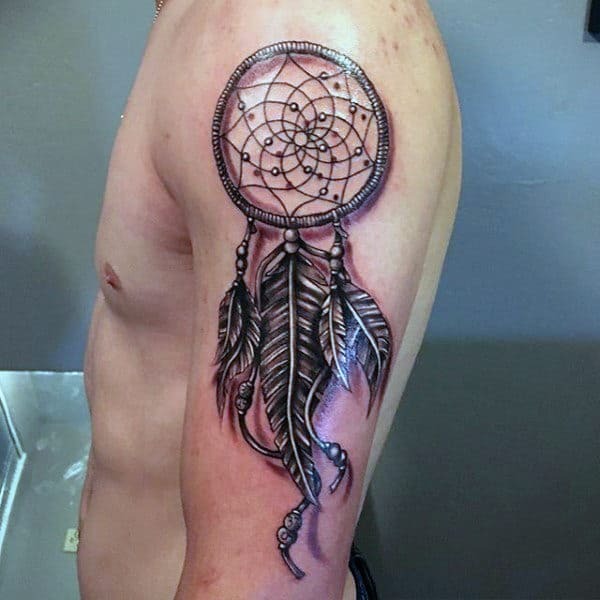 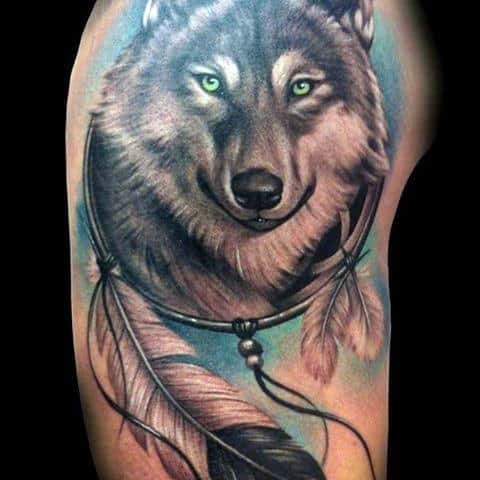 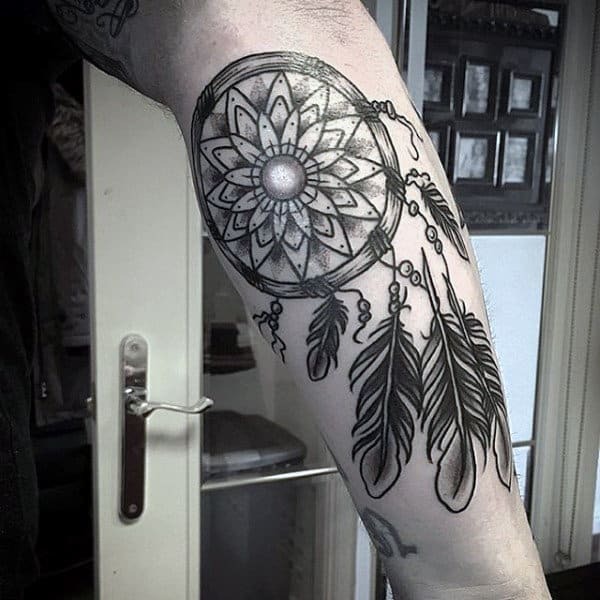 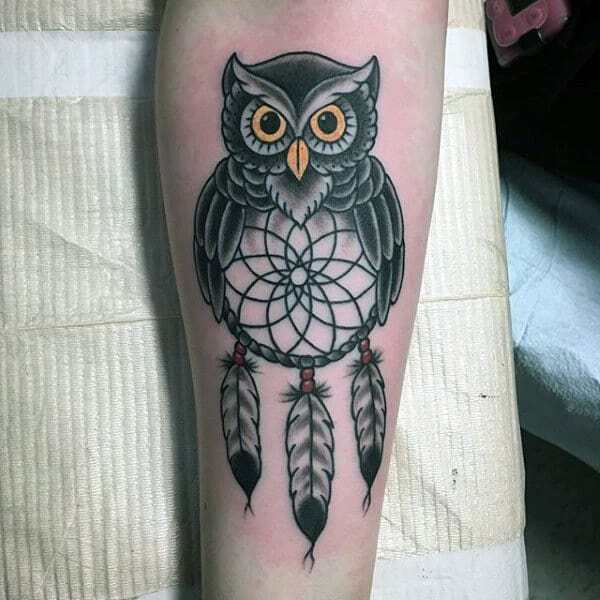 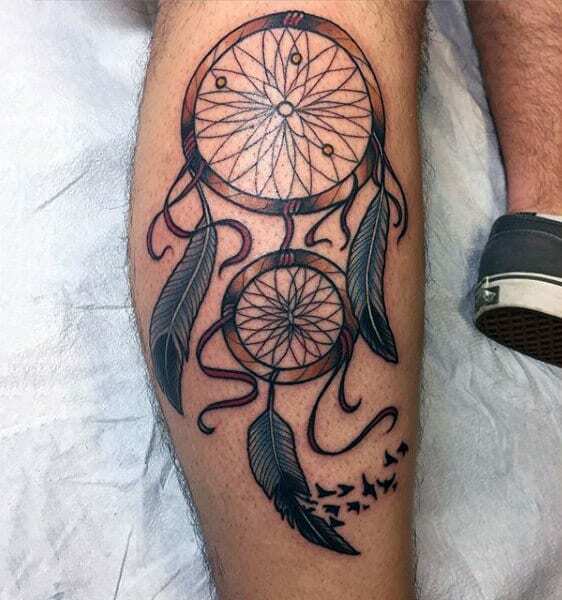 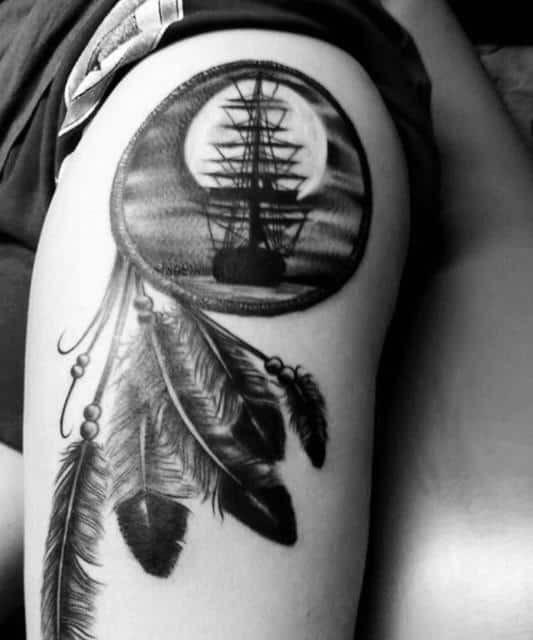 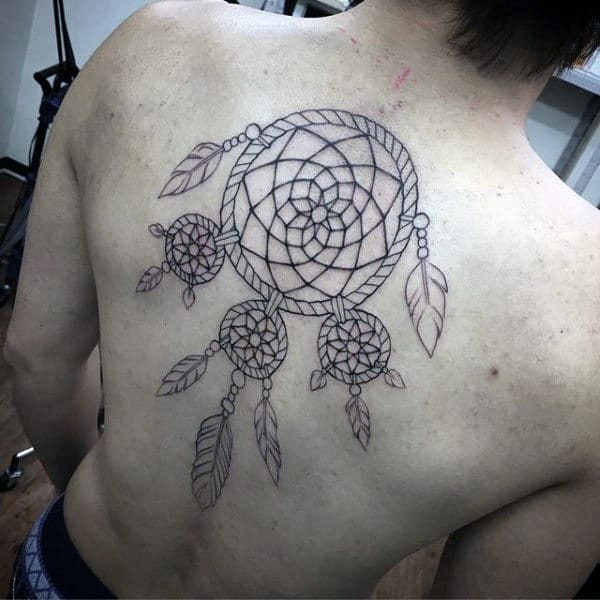 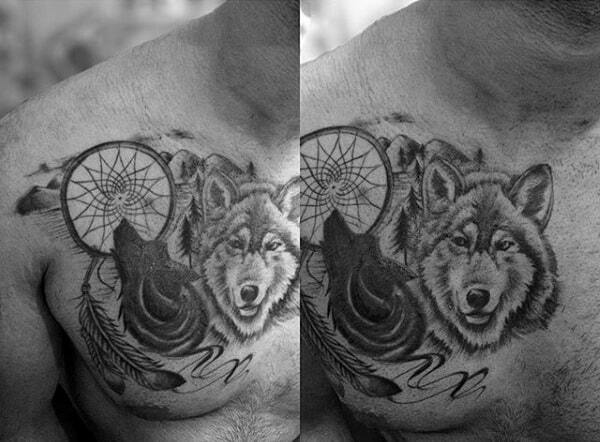 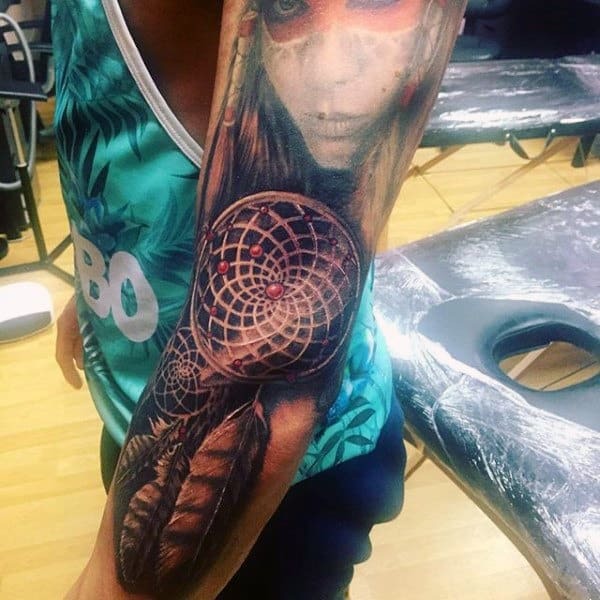 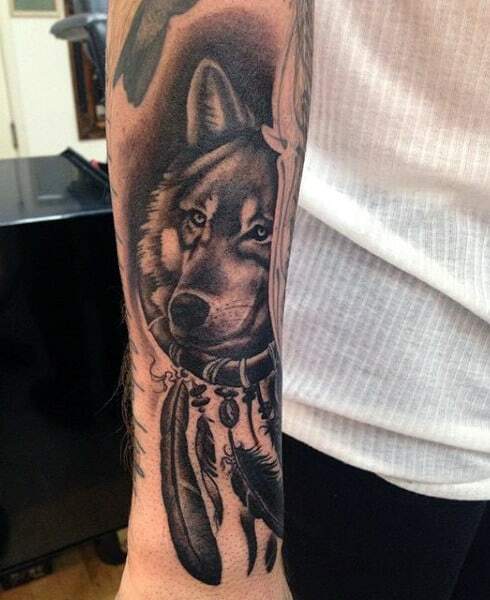 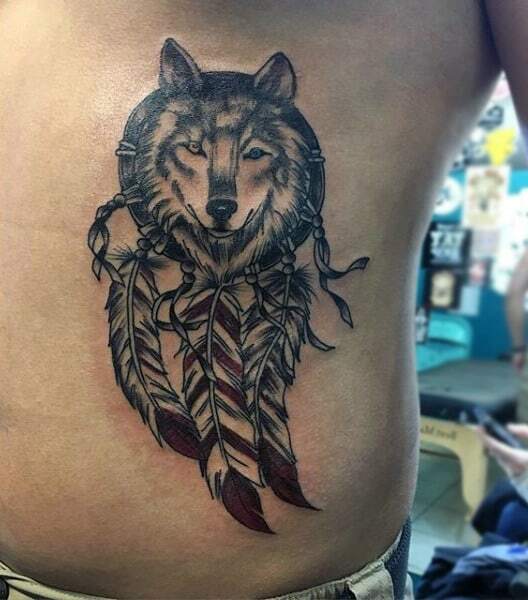 For a tattoo that is equally captivating and intricate, there is nothing that can surpass a dynamic dreamcatcher tattoo. 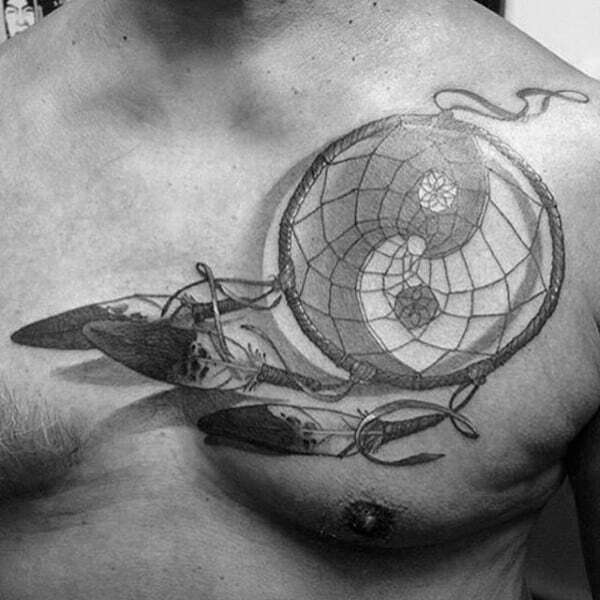 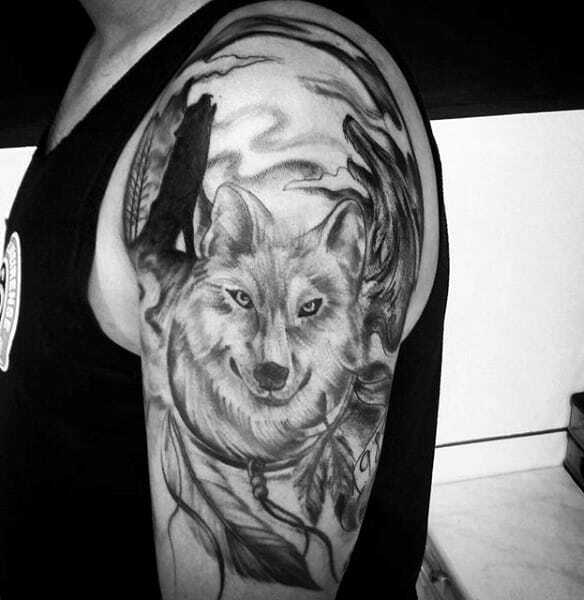 These Native American tattoos rank among the most meaningful forms of body art in existence. 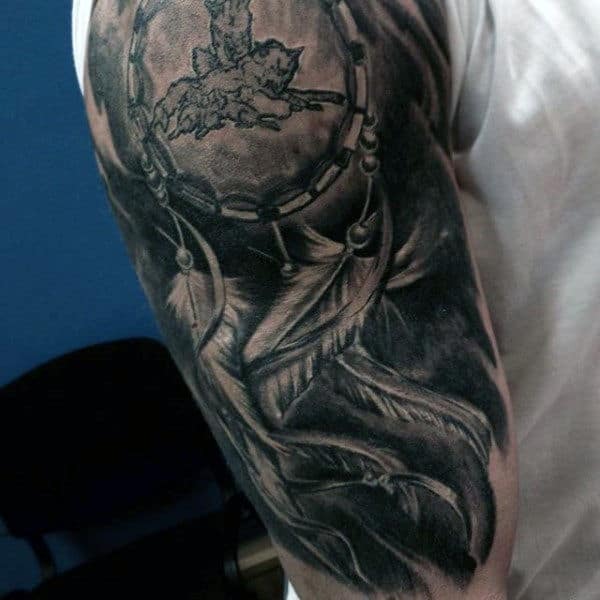 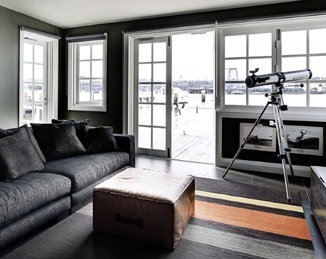 The dreamcatcher is an auspicious icon that exists in several aboriginal cultures. 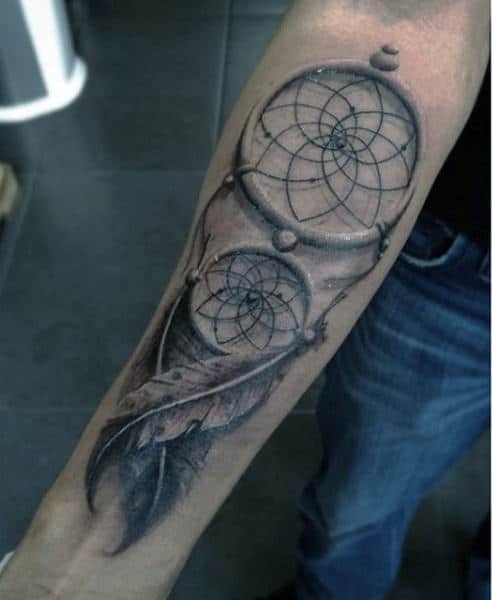 Because it carries universal sentimentality among North American aboriginals, this magnanimous symbol reflects deep wisdom and a prideful heritage. 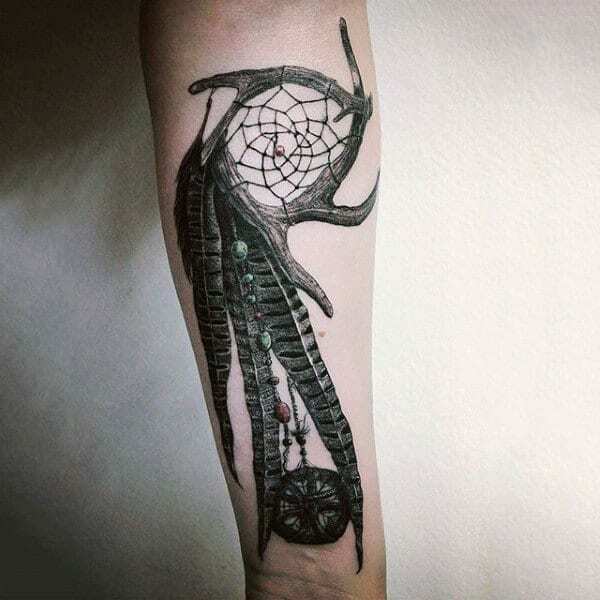 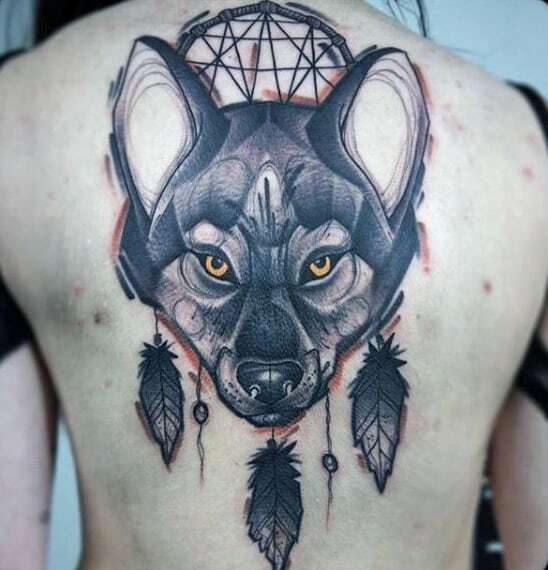 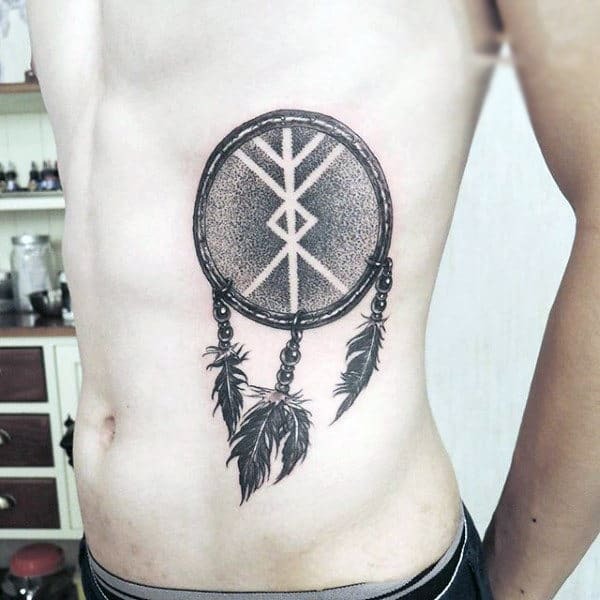 To tap into the ancient roots of Indian power, guys all around the world are connecting with lost cultures through dreamcatcher tattoos. 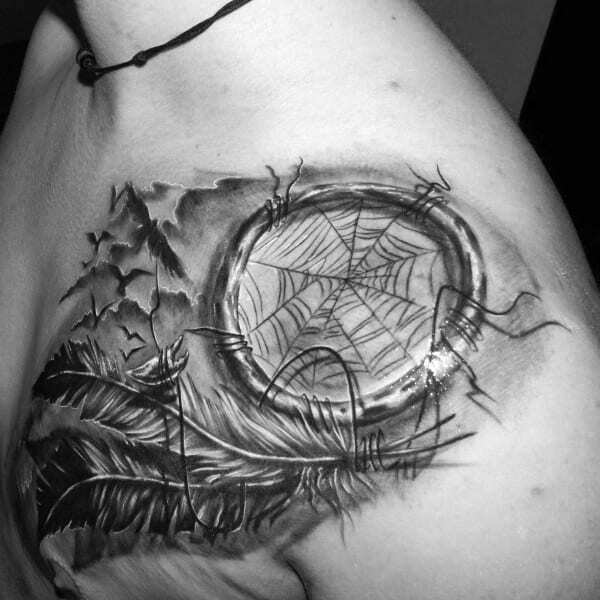 These incredibly divine designs are intrinsically linked to the spider, and the web is actually considered a trap that prevents nightmares. 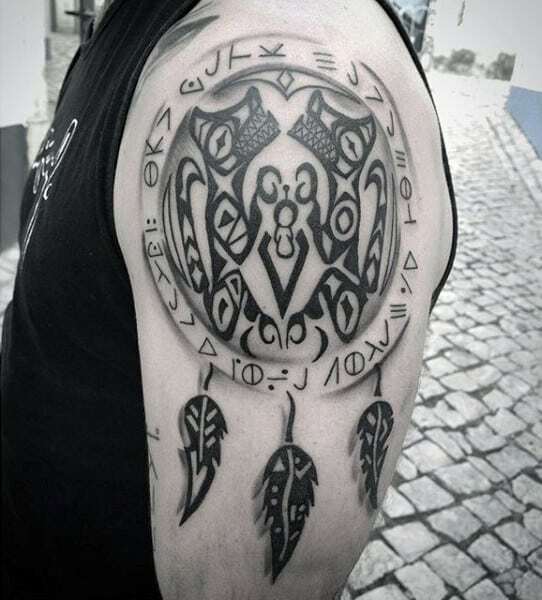 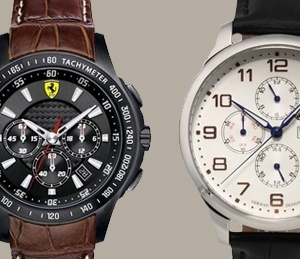 Instead of having to carry a physical version at all times, men can have an emblazoned replica that employs the same spiritual effect. 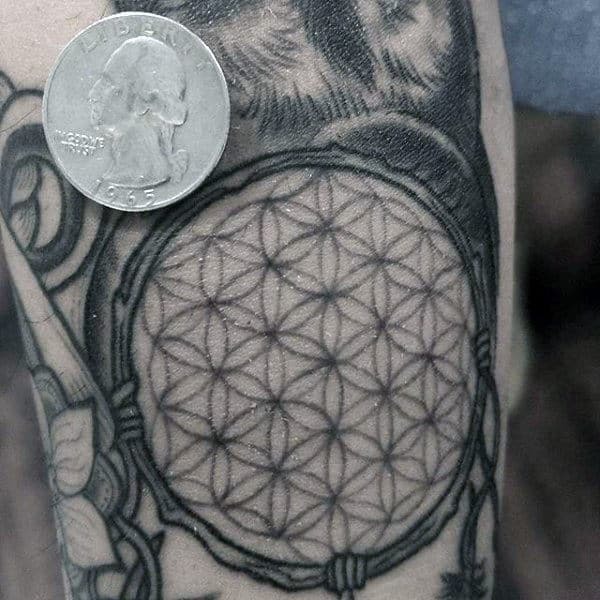 In tandem with the wonders of this weaved protection mechanism, personal meaning can be attached through the objects of power that descent from underneath the circular imprint. 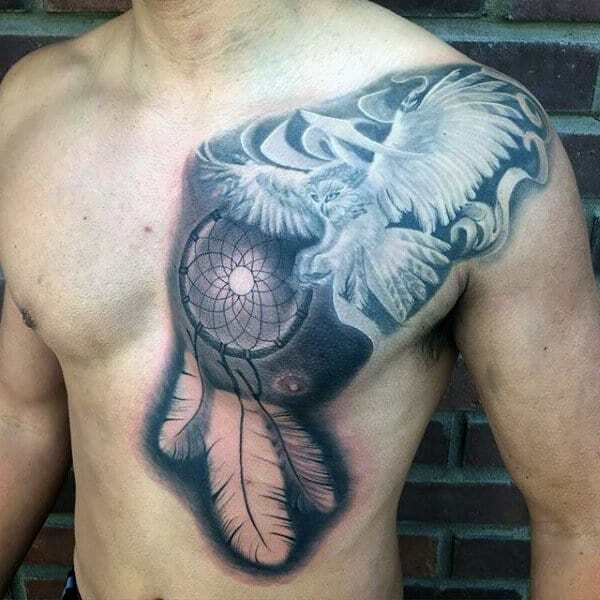 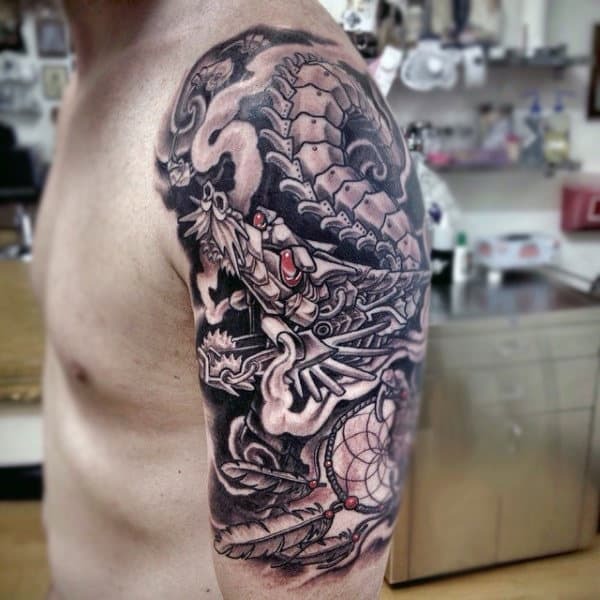 These items add great meaning to your body art approach, and they usually consist of feathers or other totems. 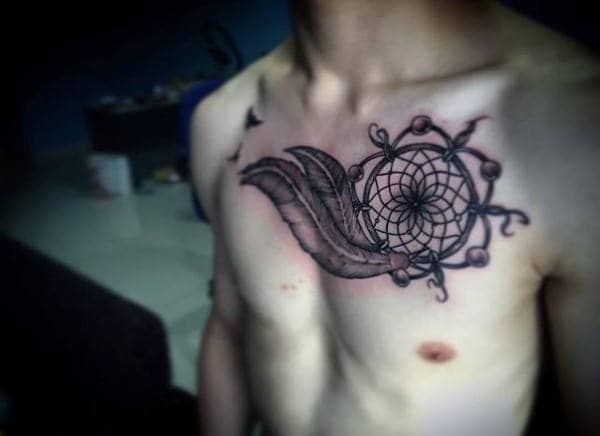 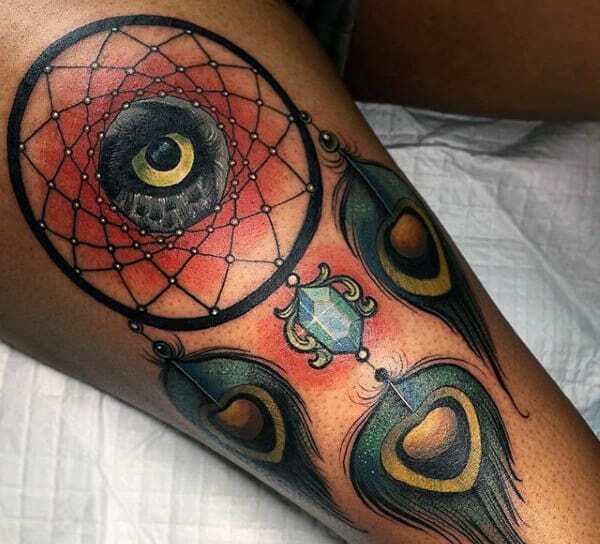 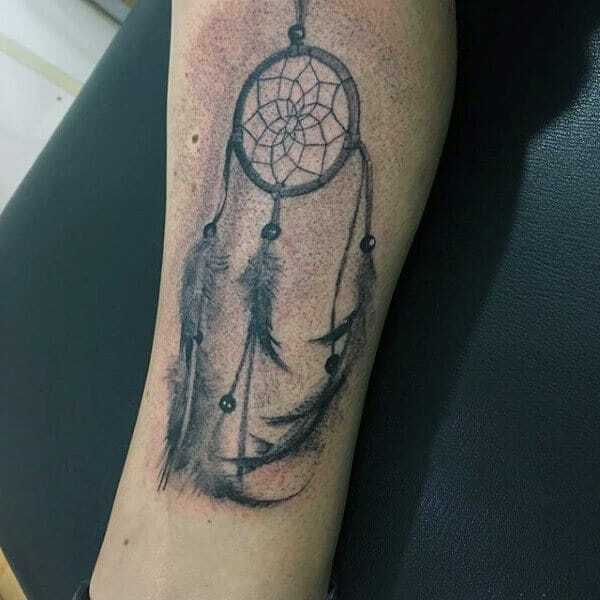 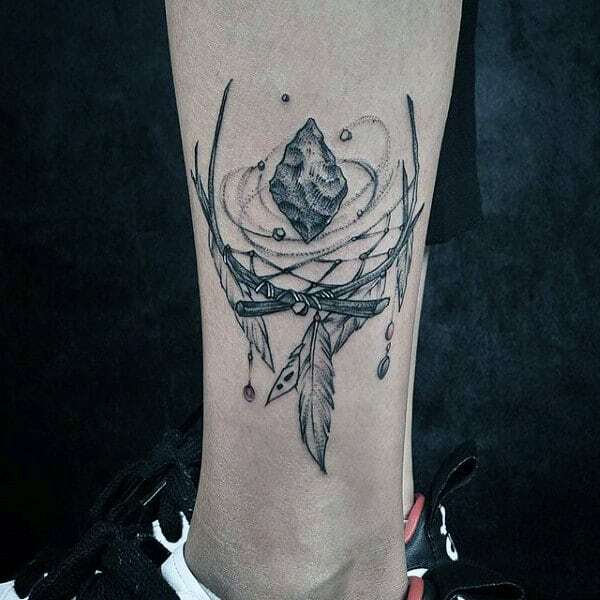 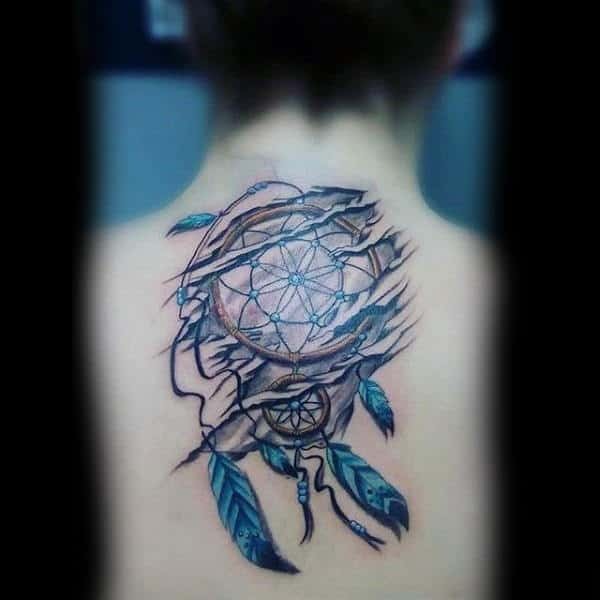 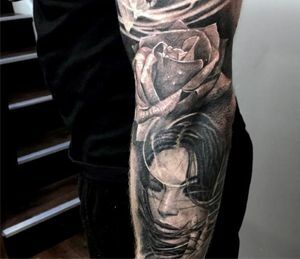 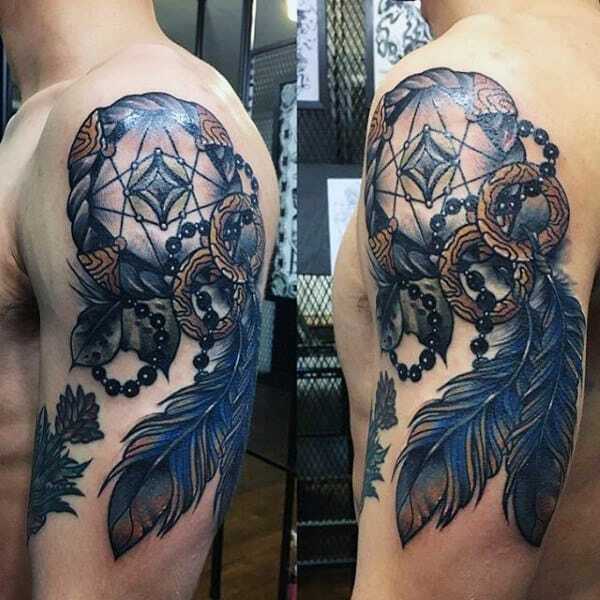 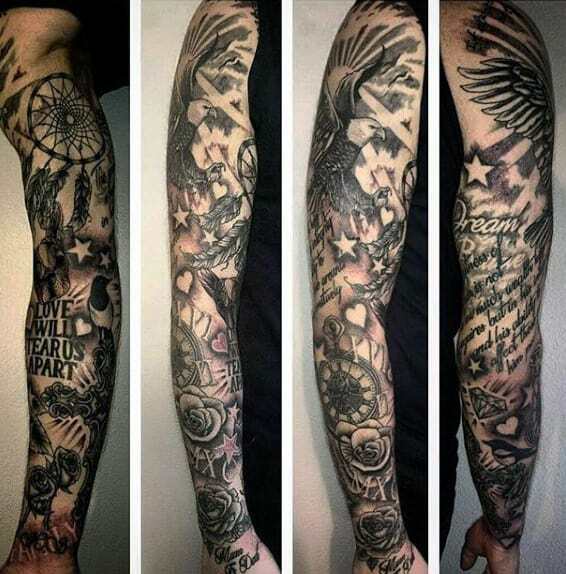 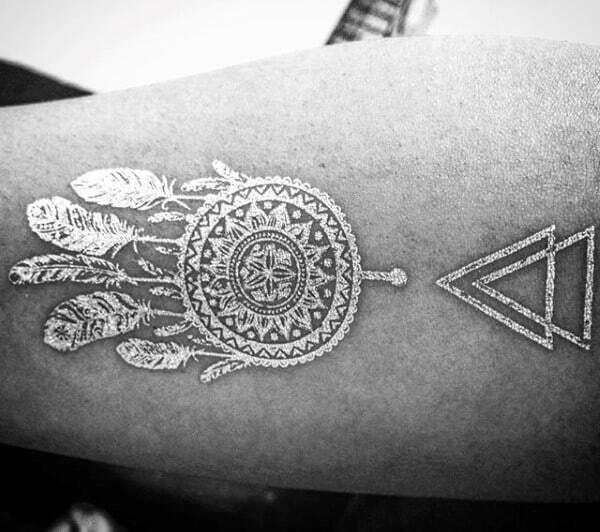 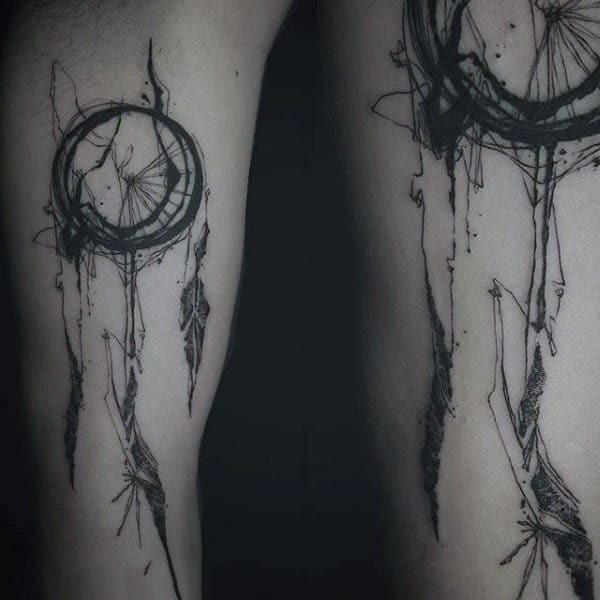 To get an understanding of dreamcatcher ink, you need to look at them firsthand. 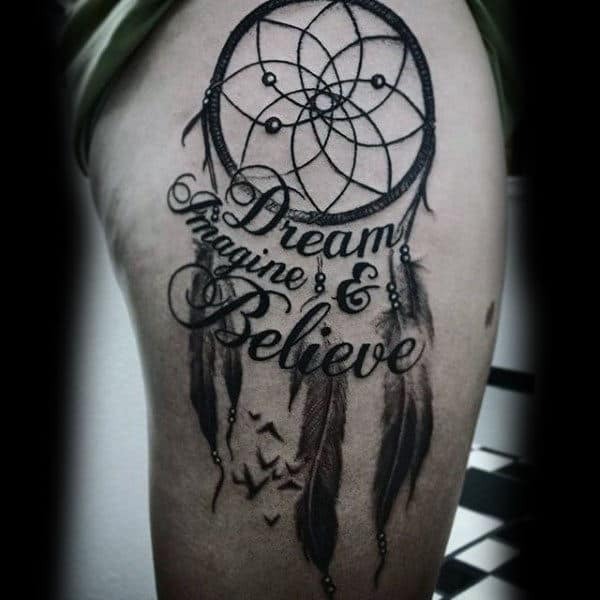 Luckily, that’s what we’re here for. 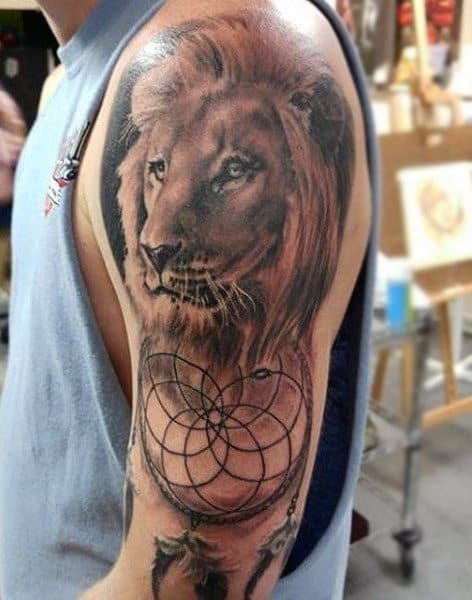 Just look ahead for a tattooed awakening!